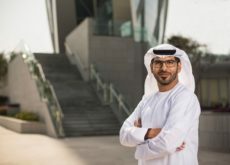 Abu Dhabi, United Arab Emirates [02 April 2019]: Miral, Abu Dhabi’s creator of destinations, has revealed a series of development updates at Yas Bay, Yas Island’s upcoming vibrant waterfront community to live, work and play. Once complete, Yas Bay will be home to Abu Dhabi’s newest unique experiences, transforming the southern end of Yas Island and contributing towards Miral’s ambition of making it one of the top global destinations for entertainment and leisure. Yas Bay’s construction updates include the completion of concrete works on the first hotel, operated by Hilton, and road infrastructure and landscaping of the public realm, parks and promenade. When complete, the development will encompass Yas Bay Arena, The Residences – which forecasts 15,000 residents – a promenade and pier with 37 cafés and restaurants, 19 retail outlets, beach club, and two hotels, as well as being the new hub for Abu Dhabi Media Zone, twofour54. During his latest visit to the site, Miral’s CEO, Eng. 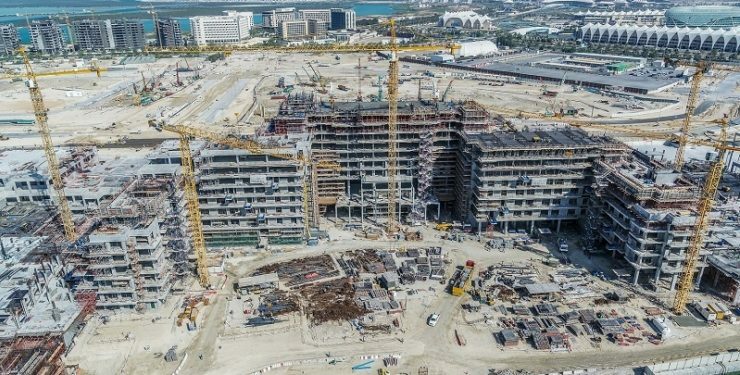 Mohamed Abdalla Al Zaabi witnessed the completion of Yas Bay’s most recent development milestones, including the final pour of concrete for topping out of the first hotel. Yas Bay provides a variety of investment opportunities, including ready-for-development land plots comprising residential, retail, and school usage. 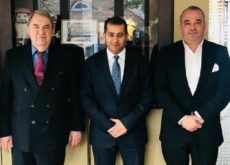 “We have already started conversations with potential partners, and look forward to working closely with investors who are eager to contribute to the unique experiences we’re creating within Yas Bay,” he added. Across the development, select projects have made significant strides as they near completion. In March, Yas Bay Arena marked a major construction milestone with the installation of the largest roof truss. When finished, Abu Dhabi’s first-of-its-kind, multi-purpose indoor arena will enhance the UAE’s live entertainment industry and the capital’s nightlife scene with large-scale business and private events. Miral is creating a world-class visitor experience on Yas Island, with Yas Bay set to become a compelling addition. Yas Bay will help to transform the southern end of Yas Island and reinforce the Island’s long-held appeal as a leading tourism destination.